Bismarck’s statement is eerily familiar with the legislative process described below. Stay with me while I dive deeply into the process as a first step in making the case why this moment is such a big deal. The draft Kirk-Menendez bill was published Friday, Jan. 23, and introduced in the Senate on Jan. 27. Officially it is the Nuclear Weapon Free Iran Act of 2015 but dubbed for names of its main sponsors — Sen. Mark Kirk (R-Ill.) and Sen. Bob Menendez (D-NJ). It is a diplomatic insurance policy imposing conditional sanctions against the risk that Tehran fails to negotiate in good faith by June 30, 2015. A strong supporter of Kirk-Menendez is Sen. Bob Corker (R-Tenn.). During Q&A at a Senate Banking Committee hearing on Iran on Jan. 27, 2015, he said, “We don’t just sit around shooting the breeze [on Capitol Hill]: We vote.” At issue is when such a vote might occur. Corker was ready to move the bill to a series of procedures and vote as soon as possible but realized he needs to hold the Democrats in the coalition; so there is a short delay. Still, there is little consensus on a timetable between the Congress and the Executive branch. Senators like Corker consider March 24 as the date there should be a deal, to be worked on by technical experts until the official signing by June 30. But consider the words of Deputy Secretary of StateTony Blinken on Jan. 27 and State Department Spokesperson Jen Psaki at a briefing on the same day; both stated by “end of March” for the political agreement (and then June 30 to complete technical details). Politico‘s Burgess Everett has looked into legislative mechanics. On Thursday, Jan. 29, the bill is to proceed for “markup,” (congressional committees debate, amend, and rewrite proposed legislation) in the Banking Committee. Everett considered a letter Democrats in the Senate sent to the president as vindication against an immediate vote sought by Republicans; but my take is that it is also a statement of the bipartisan consensus in support of Kirk-Menendez. The bill was officially introduced with 16 original cosponsors — nine Republicans and seven Democrats. Now add three more Democrats who are not signatories but cosponsored the bill in the preceding congress. According to Kristina Wong in The Hill, there would be somewhere between 62 and 65 Senators in support, close to 67 needed for an override of a presidential veto — 52 Republicans, 13 Democrats. Now to the big deal: An 18 to 4 vote in the Senate Banking Committee reflected bipartisanship for a tougher diplomacy toward Iran. Despite a two-week full court press by the administration to peel away Democrats, a bipartisan consensus held and is even stronger on Capitol Hill. It may portend a bullet-proof margin for the Kirk-Menendez conditional sanctions on Iran. On January 23, 2015. 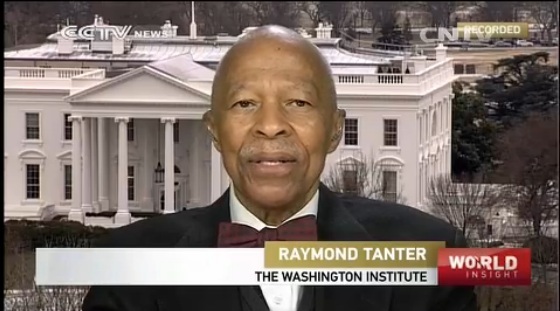 Professor Raymond Tanter was WSJ TV. 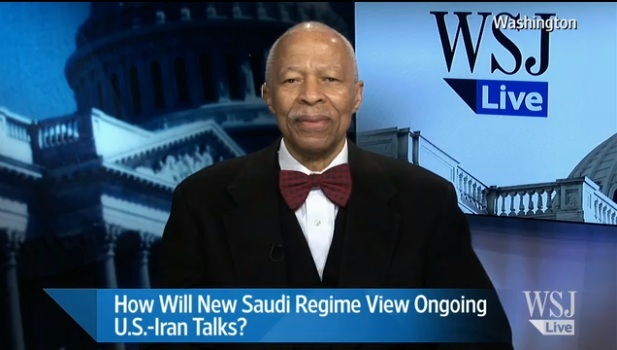 Discussing about the death of Saudi Arabian King Abdullah raises concerns about stability in the region, namely Iran, Yemen and Syria. Accession to power of Saudi King Salman with the death of his brother, Abdullah, raises the question of whether there might be a change in Saudi policy. Expect more religious conservative approach at home and less muscular risk-taking during the transition. And if Salman’s reign is short, e.g., because he has dementia, domestic infighting may rise and paralyze foreign policy decisionmaking. Despite protests and debate, many quietly laugh at despotic rulers of the directly affected areas, making despots’ lack of legitimacy apparent and erode their assumed right to rule. Cartoons and comedy are frowned upon by al Qaeda’s Ayman al-Zawahiri and his affiliate in Yemen, al Qaeda in the Arabian Peninsula (AQAP) leader Nasser al Wuhayshi; the Islamic State’s Abu Bakr al-Baghdadi, self-proclaimed “Caliph” of a new caliphate on Iraqi and Syrian territory; and Ayatollah Ali Khamenei, “Supreme Leader” of the Islamic Republic of Iran. The latter prevails as if he had a right to rule from God and increasingly enforces his diktats by a brutal morality police force, said Shirin Ebadi, an Iranian who won the Nobel Peace Prize in 2003 and was punished by the regime for her defense of human rights in Iran. Despotism and cruelty are an integral part of the Islamic Republic of Iran. It seeks to impose a brand of Shiite Islam on uncooperative Sunnis by extending its 1979 Islamist Revolution over the region covertly, as in Yemen,Bahrain, and Saudi Arabia. But wait: Saudi is also not a paragon of rights, having sentenced a man to a prison term and 1,000 lashes for insulting Islam, a “vicious act of cruelty,” according to Amnesty International, which reported the incident earlier this month. A nuclear-armed Tehran, however, is much more dangerous than non-nuclear Riyadh, though they are both serial rights violators. To listen the complete interview please go to: http://bit.ly/1DIZwUc and press play on link number 3. On January 14 2015, Professor Raymond Tanter was on CCTV. 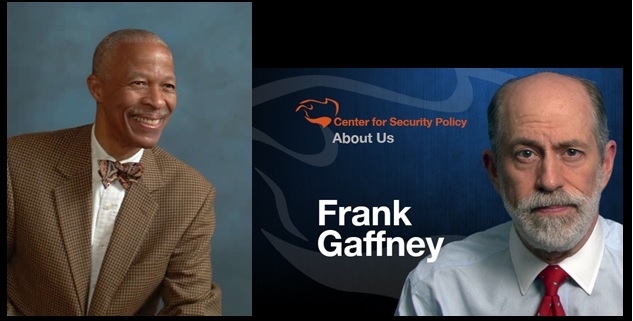 Discussing about the latest events in Global Counterterrorism and China corruption. “I am a Marxist Leninist and I will be one until the last day of my life.” — Fidel Castro, January, 1967. “[As] Comrade Fidel [Castro] stated, we have] the willingness to discuss and solve our differences without renouncing any of our principles.” — Raúl Castro, December, 2014. The 114th Congress finds Republicans in command of the House and Senate for the first time in eight years. When it convenes, its agenda will inevitably include how to deal with Cuba and Iran — two sides of the same coin of a foreign policy of giving up too much too soon in the Obama administration’s negotiations. A bipartisan consensus is emerging critical of trying to moderate rogue regimes, and that it is necessary to take a tougher negotiating approach with such regimes. Although the wording is different, the remarks above suggest Raúl is a Marxist Leninist like his brother, and intends to keep Cuba as a communist state. President Barack Obama, however, is seemingly betting that normalization of relations will lead it to become a constitutional democracy with improvements in the prison and detention centers, arbitrary arrests and detentions, police and security apparatus, arrest procedures and treatment of detainees, and fair public trials, which were all listed as being denied by Havana in the State Department’s Human Rights Report for Cuba. Instead of holding out for some of these requirements in secret talks, Obama has gambled that opening up Cuba to talks with the United States would change the nature of the regime: Either the Castro brothers will have an epiphany or moderates will emerge to prevail over the current leaders. In the context of economic woes facing Havana, Washington could have used that leverage to squeeze Havana on human rights for the Cuban people as a condition for normalization, as our Shadow colleague Will Inboden has written. In a July 2014 visit to Cuba, Russian President Vladimir Putin agreed to write off $32 billion in Cuban debt to Russia. However, it was prior to the precipitous plunge in the ruble, and Moscow has other problems on its plate: The price of crude oil fell from about $100 during Putin’s visit tobelow $50 per barrel on Jan. 6. Havana’s ally Venezuela has also been hit by the same falling oil prices and is unlikely to increase aid. Caracas now provides subsidized oil supplies to Cuba, but political changes may result in less assistance. Havana’s bilateral trade in goods and services amounted to some 21 percent of Cuba’s GDP in 2012 — only 4 percent of Venezuela’s GDP. There is a failure of Team Obama to take advantage of the strong negotiating position of the United States in view of the worldwide economic situation and to take seriously the rhetoric of revolutionaries. Obama’s search for a moderate government in Havana recalls similar behavior of President Eisenhower; his State Department also played down revolutionary rhetoric. But Eisenhower corrected his policy toward Cuba shortly after Castro’s fiery words were matched by his deeds. About a week after the fall of pro-American Fulgencio Batista in Cuba, U.S. officials recognized the new interim government. Fidel Castro’s rebel army helped overthrow Batista but the State Department believed Washington could work with new “moderates” in the provisional government and protect American interests in Cuba. Although some nations extended recognition, outreach by the United States was a critical signal the West could do business with Prime Minister Fidel Castro, the real power behind the interim government; Castro later became president and engaged Moscow instead of Washington. 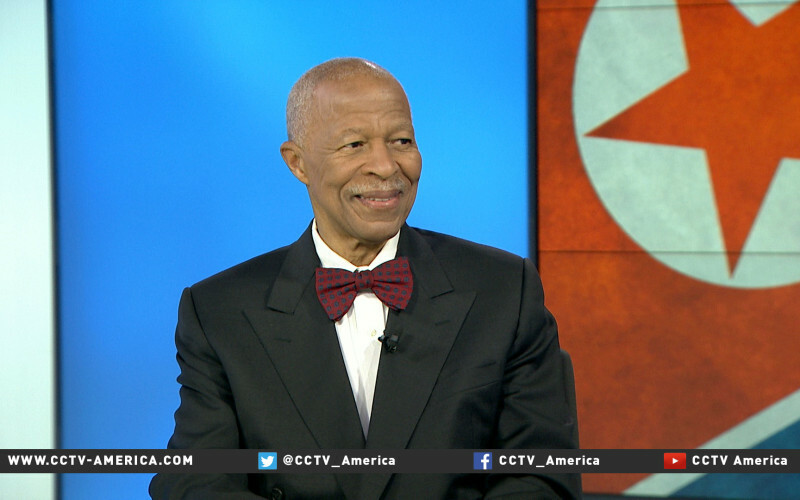 On January 3 2015, Professor Raymond Tanter was on CCTV America. Discussing about the latest events in DPRK. The United States said its new round of sanctions against the Democratic People’s Republic of Korea is just the opening salvo in its response to an unprecedented cyberattack on Sony. Yet there may be little else the U.S. can do to further isolate a country that already has few friends in the world. Even the latest sanctions, handed down by President Barack Obama in an executive order, may not sting quite as badly as U.S. would have hoped. After all, the DPRK is already under a strict sanctions regime imposed by the U.S. over the North’s nuclear program. The new round of sanctions unveiled Friday hit three organizations closely tied to the North’s defense apparatus, plus 10 individuals who work for those groups or for the DPRK’s government directly. Any assets they have in the U.S. will be frozen, and they’ll be barred from using the U.S. financial system. But all three groups were already on the U.S. sanctions list, and officials couldn’t say whether any of the 10 individuals even have assets in the U.S. to freeze. Still, American officials portrayed the move as a swift and decisive response to DPRK behavior they said had gone far over the line. Never before has the U.S. imposed sanctions on another nation in direct retaliation for a cyberattack on an American company. “The order is not targeted at the people of North Korea, but rather is aimed at the government of North Korea and its activities that threaten the United States and others,” Obama wrote in a letter to House and Senate leaders.